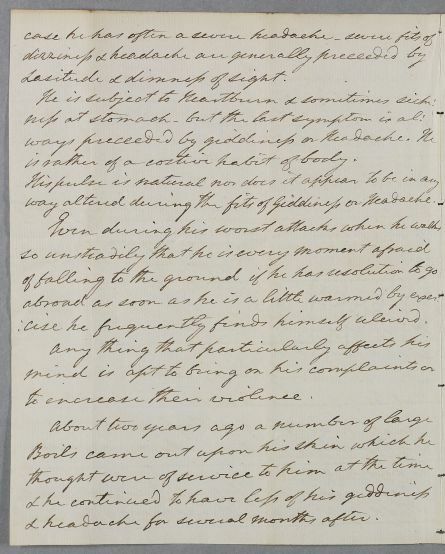 Case note describing the case of Sir Richard Brooke, who has been 'subject to violent attacks of Giddiness attended with noise in his ears, dimness of sight, palpitation of his heart, tremors of his hands and frequent drowsiness' after a fever some years previously. 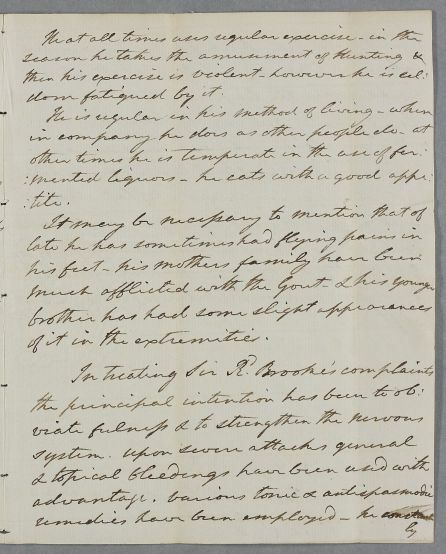 Summary Case note describing the case of Sir Richard Brooke, who has been 'subject to violent attacks of Giddiness attended with noise in his ears, dimness of sight, palpitation of his heart, tremors of his hands and frequent drowsiness' after a fever some years previously. 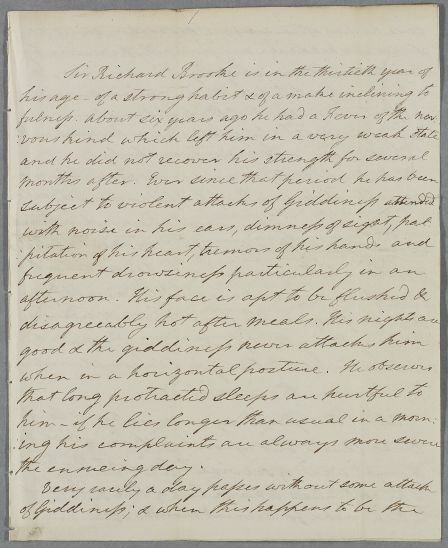 Case of Sir Richard Brooke, who suffers' attacks of Giddiness attended with noise in his ears, dimness of sight, palpitation of his heart, tremors of his hands and frequent drowsiness' after a fever some years previously. Lasitude & dimness of sight. is rather of a costive habit of body. 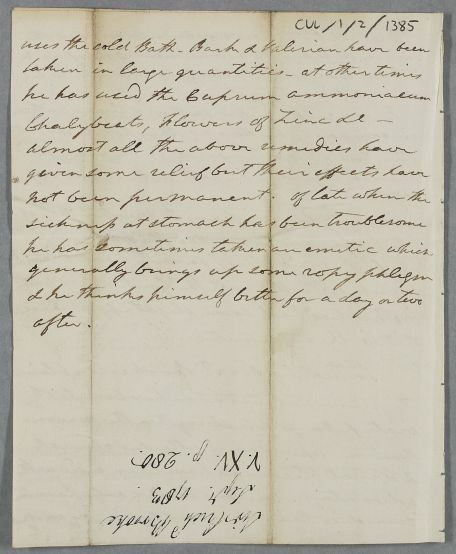 cise he frequently finds himself releived. & headache for several months after. of it in the extremities.